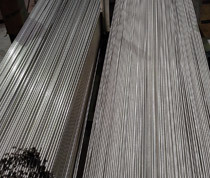 At Centerless Grinding Service, we have the production capacity to process jobs within narrow timelines to keep up with any busy shop's inventory requirements and production flows. This project involved grinding and straightening 42,520 lbs of 12L14 carbon steel bar for a customer in the automotive industry. Incoming material inspections revealed that the material was shipped to us with an outer diameter of 0.406". 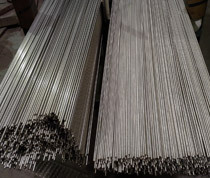 In addition to straightening the bar to 0.006" T.I.R per foot of length, we ground the diameter to 0.398" within close +0.000/- 0.001" tolerances while achieving a 32 RMS surface finish. We also chamfered the ends of each 12’ length of material per the client specifications. All of our processes incorporated numerous quality checkpoints. We are very familiar with supply chain and traceability requirements for the automotive industry, and we recorded and documented the results of each one of our test and inspections to provide a certificate of conformance to the client. In addition to straightening and grinding, we applied a rust proofing agent to the material, bundled and wrapped in 1,000 lb. bundles, and boxed each bundle in wood boxes. This provided superior packaging of the finished material in order to maintain its integrity while handling, shipping and storage. The entire project took less than two weeks to accomplish. 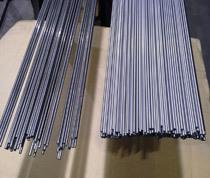 This centerless ground carbon steel bar stock allowed the client to achieve a faster throughput and elevated level of quality in their finished product. If you are interested in learning more about this project or how our grinding and straightening capabilities can benefit your operations, contact us today.